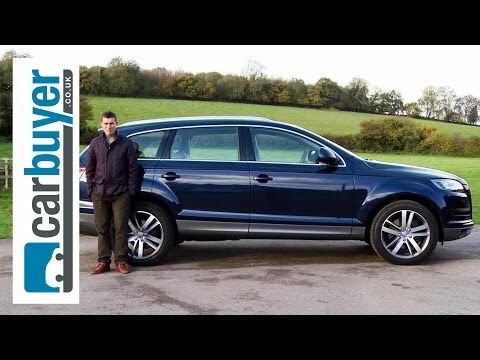 Audi's 2013 Q7 is big, poised and polished, and it delivers luxury-SUV buyers a distinctive blend of capability, performance and accommodation. It's built to exacting standards, and its look and feel are uniquely Audi. Brilliant V6 engines - supercharged gasoline and turbodiesel - and Audi's signature quattro all-wheel drive move the big vehicle around smartly yet efficiently, in any weather, on any road. My Audi Q7 is a quality suv with luxury features like cold/warm weather packages and valet parking glove box. What I like about my Audi is the room it has between the front seats and middle seats, the options of cold weather package and the moon/sun roof and sound system. I'm not to impressed by the engine. It doesn't have pick up and go. And the third row seating is rather tight. I would have also like to have more cup holders as silly as that may be. Having children it's something you come to need. Love my vehicle’s performance, reliability, comfort, and all of the great features it has. However, maintenance can be expensive, insurance is more expensive due to it being considered a luxury vehicle, and gas is more expensive than a vehicle that takes regular fuel since the q7 requires premium fuel. The Audi Q7 is a sturdy, reliable vehicle with German engineering that handles and hugs the road beautifully. The Audi Q7 handles beautifully; especially around turns. It downshifts automatically when traveling down steep hills. I feel safe in the car and when you shut the door, it's heavy and not "tinny" sounding like some other car brands.